30 Minutes of Awesome Fun! 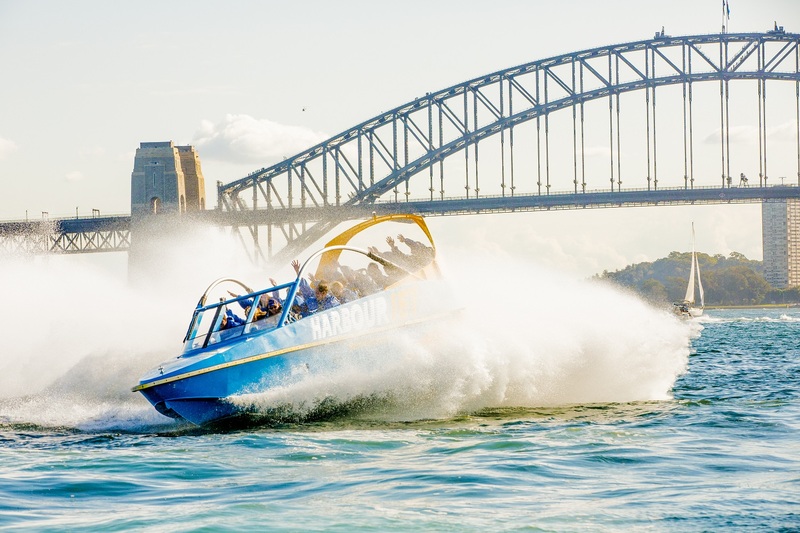 Departing from the iconic Darling Harbour, experience the thrill of Harbour Jet as it races past some of Sydney's most famous landmarks! power brake stops this experience can be wet and wild but loads of fun! For SAME DAY Bookings, please call our office on 1300 887 373. Bookings are subject to availability. PLEASE NOTE, THE LAYOUT ON A SMART PHONE, MAY BE DIFFICULT TO NAVIGATE DUE TO THE SCREEN CONFIGURATION. WE RECOMMEND USING A LAPTOP, PC OR TABLET TO PURCHASE YOUR TICKETS. Children (5-15) - Minimum height requirement is 120cm.